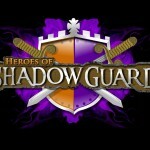 Heroes of Shadow Guard is a title being developed by the new indy studio Iron 27. 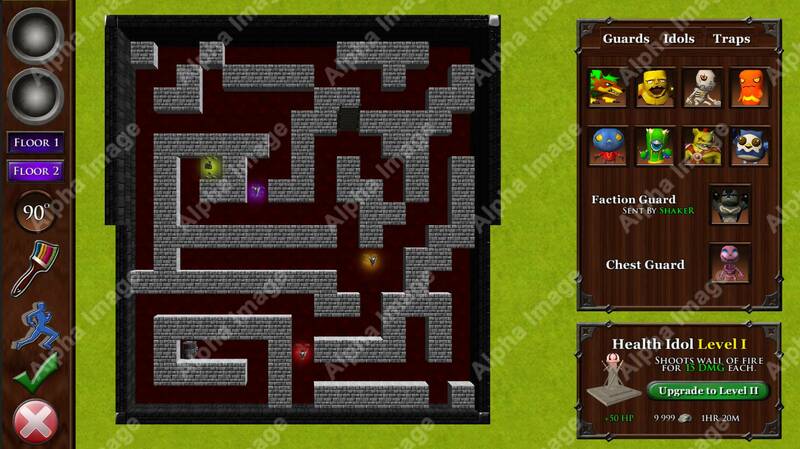 Players in Heroes of Shadow Guard control a completely customizable dungeon-style “Labyrinth”. 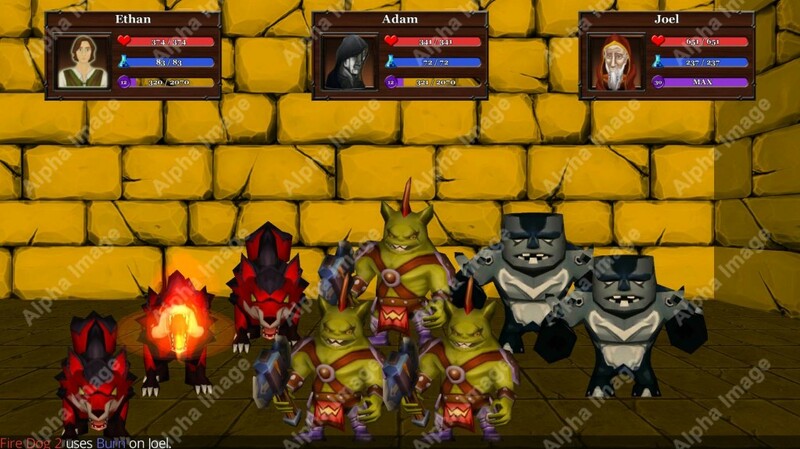 You strategically design the exact layout of the multi-floor interior, select all the defending guards – including your powerful Chest Guard, lay traps, and even place idols for buffing your defenders. You can also change the aesthetics as well by choosing from numerous wall and floor colors to make your labyrinth unique. From a defensive standpoint, your goal is simple: create an impassable maze that other players have to try and overcome in the name of loot and pendants. Satisfied with your defenses? Time to take on enemy labyrinths. You are given a variety of strategic options involved in preparing for the attack: select the right Heroes for your Raiding party and choose the most optimal combination of abilities and items to take to the fight. To be clear, there’s more than enough fighting going on once you’re in; true to older Sega titles like Shining in the Darkness, your first-person crawl through the Labyrinth leads to random encounters with guards in turn-based combat. There is little predictability as to how each battle will occur; guards can spawn in quantities of 2-7, and nearby idols will buff their stats. Defeating them grants you gold and XP; for the real prizes you have to successfully penetrate the Labyrinth and defeat the final boss-like Chest Guard. Conquering your foe gives you an item from his inventory, some of his gold and stone, and a great Experience Point payout. At the start of the game, you are assigned to a Faction that can be changed by invitation or request. Your faction shares the same geographical area with each member maintaining their individual lot. It is from the ‘Faction Territory View’ that you run your operation: managing your own Labyrinth, selecting which opposing Faction’s Labyrinth to Raid, orchestrating your mining efforts, interacting with other Faction members, and much more. The economy of the game is developed around three values: Stone, Gold, and Nori. Stone is mined to upgrade your Labyrinth and the Traps and Idols within. Gold is the currency used to purchase items and expand your inventory. Nori’s can be used to purchase more Gold and grant certain boosts to give a critical edge. 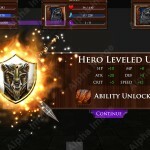 RPG elements are present throughout Heroes of Shadow Guard. Unlike many of its contemporaries, you don’t simply press a few buttons for instant, unimmersive gratification; rather, you enter your village in First-Person and look about in a panoramic viewing perspective to select which building you want to enter. 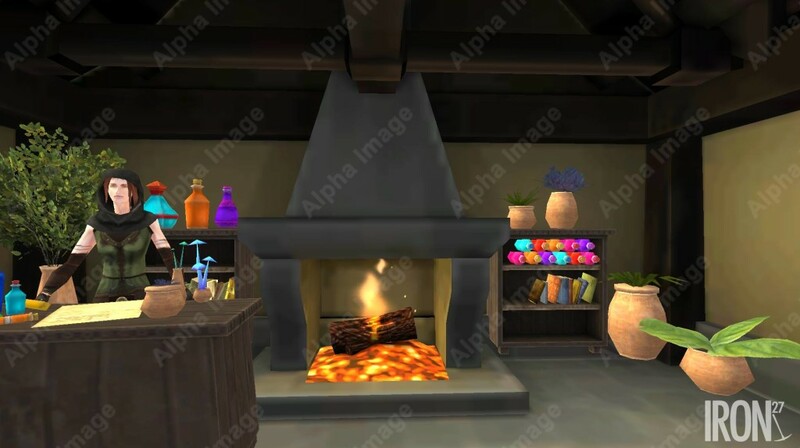 For example, for equipment you would visit the Blacksmith, for potions the Herbalist, and to rest and regain health, the Inn. Social interaction are also present in the game. Players can communicate with their Faction members in Faction Chat, or with the whole community in Global Chat. Facebook joins the interface with custom hero pictures and a streamlined friend invitation system to join the action. You can also share items you acquire really easily. Heroes of Shadow Guard is targeting a December 2014 to January 2015 release.